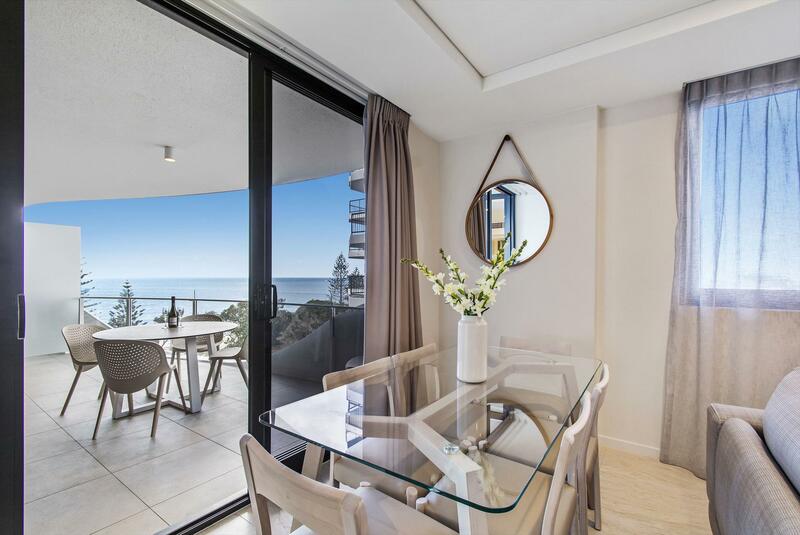 Breeze Mooloolaba is a beachfront apartment-style resort surrounded by restaurants, cafes and shops, ideal for couples and families seeking a luxury beach holiday on the Sunshine Coast. 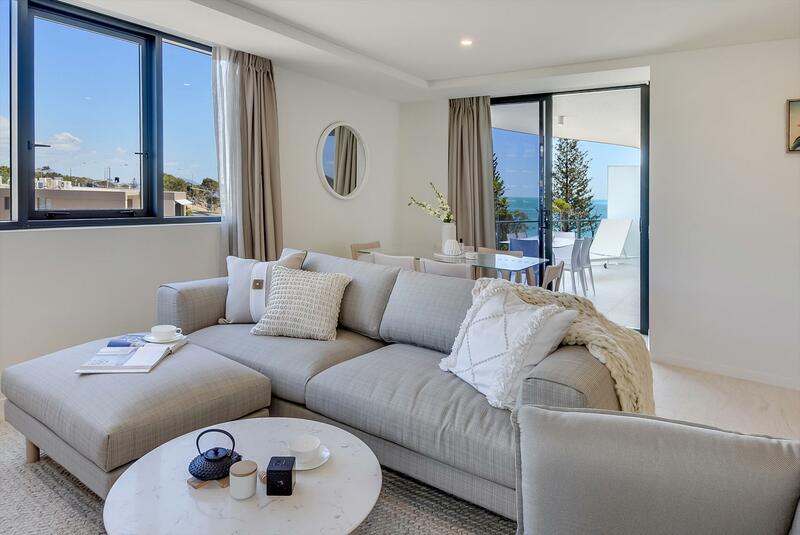 Breeze Mooloolaba is a modern apartment style resort on the Sunshine Coast offering the ultimate in beachfront Mooloolaba accommodation. Just 1 hour from Brisbane or 15 minutes from Sunshine Coast Airport, Breeze Mooloolaba is the perfect base to explore the beachside precinct of Mooloolaba Esplanade with its abundance of restaurants, cafes and boutiques. 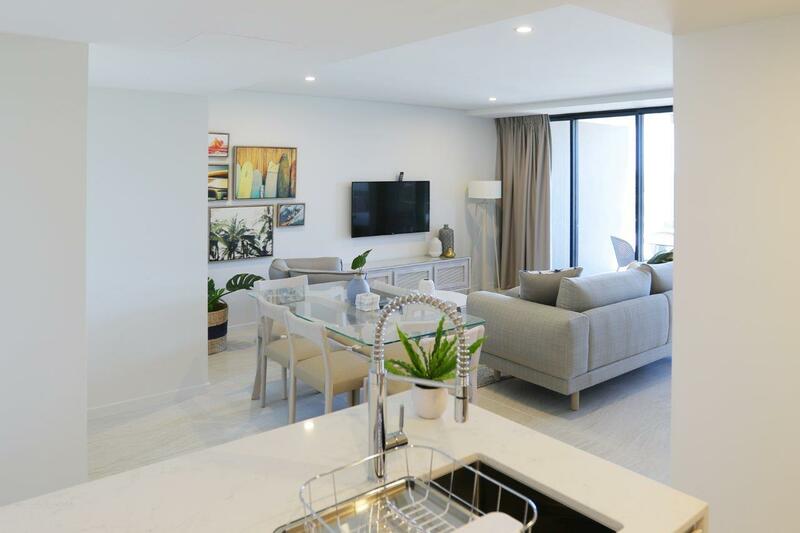 The unique architectural design of Breeze Mooloolaba is created by a series of curves or waves along the balcony line, maximising natural light and expansive views of the coastline. Check-in to Sunshine Coast luxury at its best with a sophisticated lobby of white marble and Balinese timber leading to the ground level outdoor pool, spa and BBQ entertainment area. 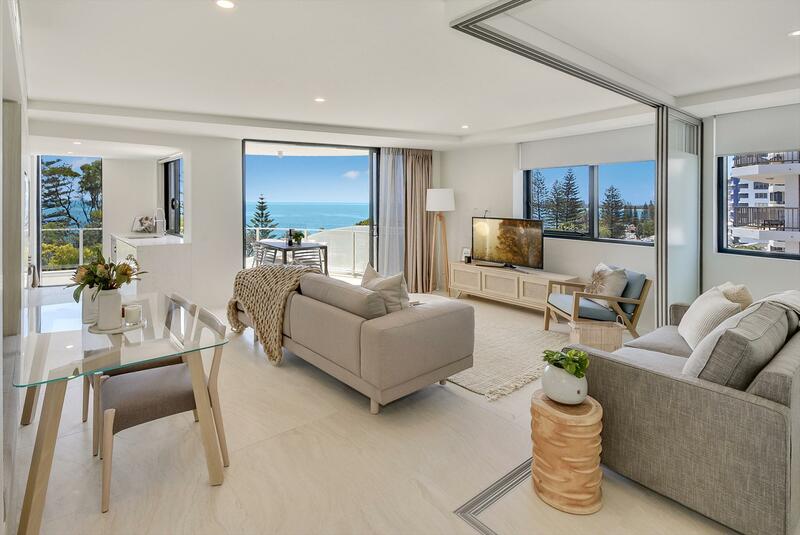 Mooloolaba's newest luxury resort offers 57 One and Two Bedroom self-contained apartments, some featuring ocean views. Each air-conditioned apartment includes spacious living and dining area, full kitchen with quality European appliances and separate bedroom and laundry. Apartments are furnished in modern and contemporary, coastal cool style and balconies to enjoy alfresco dining and sunset drinks. The apartments feature flat screen TV's, complimentary movies on demand and Free WiFi for your enjoyment. Enjoy a fun filled beach holiday with Mooloolaba's north facing beach protected by the headland and offering some of the safest and best swimming conditions on the Sunshine Coast, ideal for kids and families. Breeze Mooloolaba is an idyllic setting for a family beach holiday and the ultimate in Mooloolaba luxury accommodation. 60 minutes from Brisbane, 15 minutes from Sunshine Coast Airport. Walking distance to Mooloolaba Beach, shops, cafes and restaurants. 14 days notification refund of deposit less $100 administration fee. 14 days or less notification - no refund. 28 days notification refund of deposit less $100 administration fee. 28 days or less notification - no refund. No shows or Terminations once checked in will incur a 100% cancellation fee ie your credit card will be charged for the full amount of your stay. Requests for specific floor levels and apartment numbers will be on a request basis and cannot be guaranteed. Additional cleaning charges will apply in the event of apartment being left in an unacceptable condition. Breeze operates a strict no party policy. If security is required due to excessive noise a charge will be applicable. The Property is 100% non smoking. Breeze requires a $200 credit card pre-authorisation upon check in to cover any incidental charges. 2 Bedroom, 2 bathroom apartments feature a Queen size bed in the master bedroom, with a King or King split in the second bedroom. The largest of the 2 Bedroom Apartments - they feature 2 Bedrooms, 2 Bathrooms with an additional Multi Purpose Room. The bedding configuration is either a King or King split in the master bedroom, a queen size bed in the second bedroom. The Multi Purpose Room features an additional wall mounted television and double sofa bed.